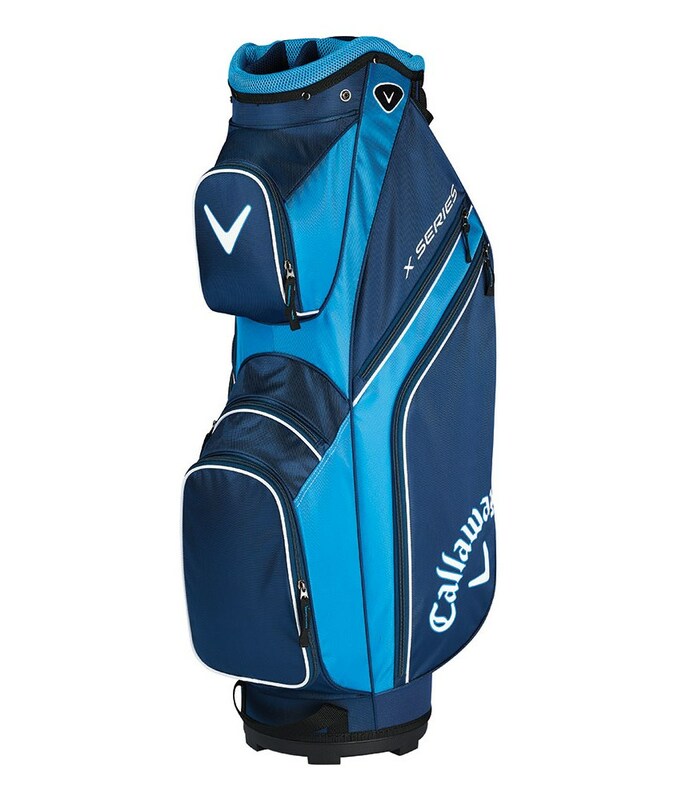 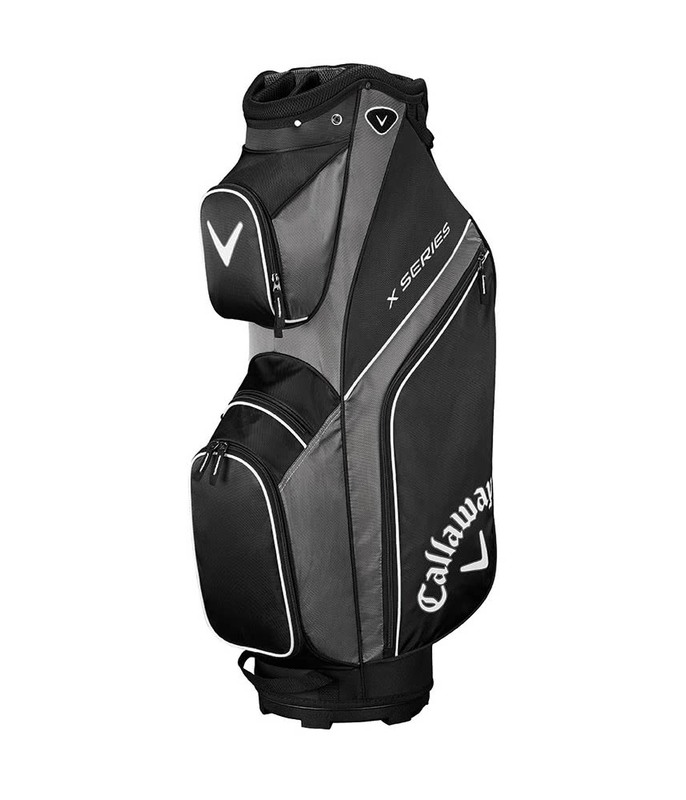 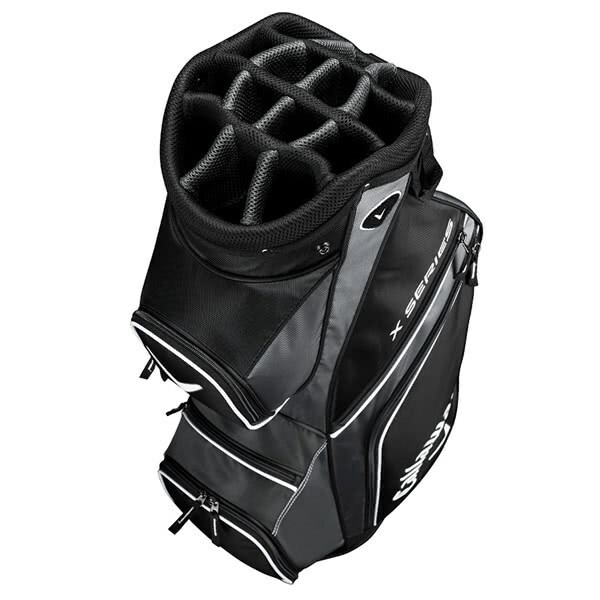 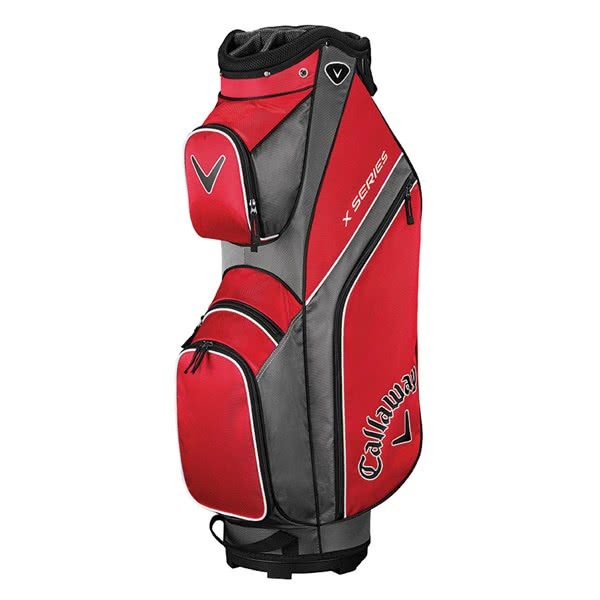 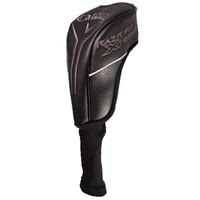 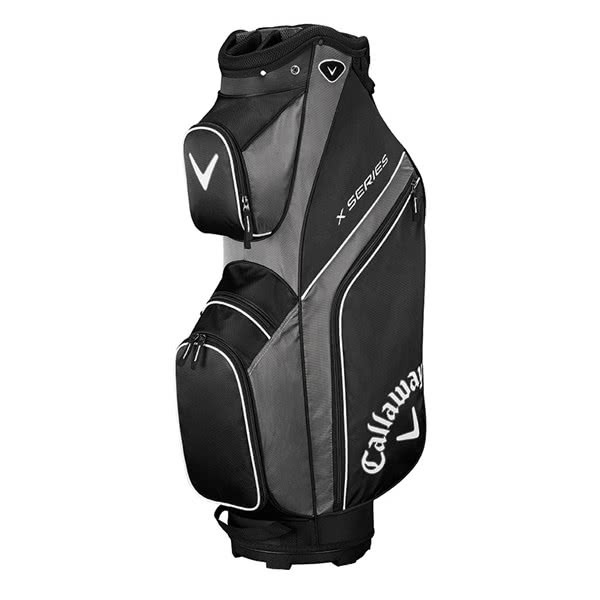 The Callaway X Series Cart Bag offers an exceptional amount of storage and practicality for the price. A total of 7 pockets have been used in the design of the X Series Cart Bag, all seven of the pockets are forward facing making them easy access and load when on a trolley or buggy. 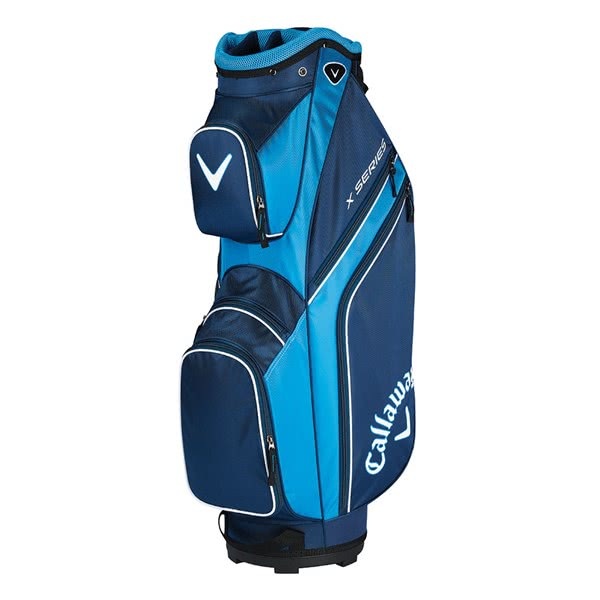 Callaway have used a 14-way top that features a full length divider system that will keep the business end of the golf bag organised as well as providing excellent shaft protection. 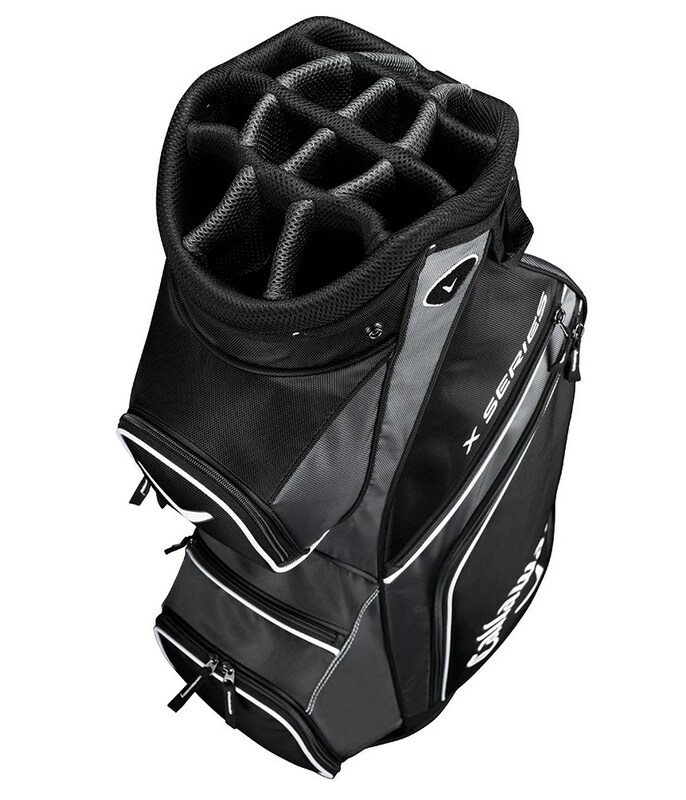 The top and base unit have been designed to provide a secure fit on all types of trolleys for the ultimate performance even on the toughest of courses.